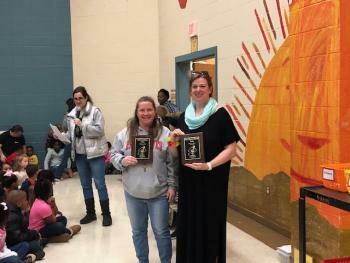 We are so proud of Mrs. Neira and Mrs. Hicks for representing us at the Polar Bear Plunge this weekend! Thank you to all our students who donated to this cause. We won "Best Team Costume" and raised the most money in the "Team" category with over $1,800 raised for Special Olympics.